Have you been the victim of medical negligence that happened in Chesterfield? 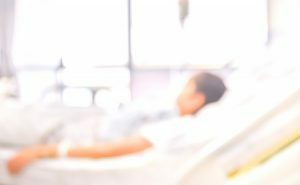 Medical negligence, otherwise known as clinical negligence, happens when a healthcare professional has taken a specific action that has resulted in an illness getting worse, a new illness developing, or an injury flaring up. This could be a mistake, such as diagnosing the wrong condition or recommending the wrong treatment. It could also be inaction, for example, failing to take symptoms seriously or waiting too long to send you to a specialist. No matter what has happened, you need a Chesterfield solicitor to build a strong case for you. Read on to discover more about selecting the best solicitor, as well as details regarding the service that we provide. Doing your research online – Take the time to research companies online. When reading reviews, make sure you check out independent review websites. This will give you a good indication regarding the level of service that the solicitor in question provides. Contact Legal Expert – We can provide you with the best solicitor for your case. We have access to the best of the best, and we provide solicitors based on experience and the specifics of our clients’ cases. Do You Need To Choose A Chesterfield Medical Negligence Solicitor? You are not restricted to choosing a local service. Nowadays, keeping in touch with your solicitor is easy thanks to the huge number of communication methods that are available. This includes everything from telephone and email to video calls and instant messaging. This means that you are not restricted to a solicitor Chesterfield based. You can choose a solicitor based anywhere in the UK, meaning you can make your decision based on experience and success ratings rather than location. Our medical negligence team is able to assist with a wide range of cases. Most can be categorised into one of the following categories: hospital negligence, GP negligence, dental negligence, cancer negligence, childbirth negligence, and nursing home negligence. Read on to find out more. We can help you to claim against a local hospital, or a hospital that is situated further afield. There are many different types of hospital negligence claims we can assist with. This includes cases whereby errors have been made during surgery, as well as incidents whereby the claimant has gotten ill in hospital due to poor hygiene and sanitation. GP negligence claims often happen when a GP has failed to diagnosis an illness properly. This can be one of two cases. The first is when a GP has failed to pick up on an illness altogether. The second is when a GP diagnosis the illness as something as it is not. Both cases can have very serious consequences, especially if the illness goes undiagnosed for a long time. You are able to seek dental negligence damages if you have been injured or sustained an illness while visiting the dentist. Again, there are lots of different incidents that can happen in terms of dental negligence. Perhaps you were not administered anaesthetic correctly? Maybe your dentist incorrectly diagnosed the dental issue you were suffering from? Perhaps they carried out treatment without your consent or did not provide you with all of the details you needed to make a well-informed decision? There have also been cases whereby dentists have removed the wrong tooth or caused significant damage to the gums or mouth. Cancer is a terrible illness that so many people suffer from today. Matters are made worse when cancer is not diagnosed correctly or when the right treatment is not administered. If cancer is not diagnosed quickly enough or it is diagnosed incorrectly, it can cause the illness to spread to other parts of the body and get worse. This means that the person has to go through much more intrusive treatment and experience side effects that they otherwise wouldn’t. In some cases, it can even result in loss of life. Moreover, if the incorrect treatment is given to someone suffering from cancer, it can have a horrible impact on their body, and of course, it can make the cancer get worse too. No matter what has happened, we can help you to claim and get the compensation you deserve. Call us for more information on cancer negligence claims. You can make a claim against a care home or a nursing home on behalf of yourself or on behalf of a loved one. When we send our parents to a nursing home, it is not a decision we make lightly. We do it because we feel it is better for their health and quality of life. So, when something goes wrong, it can be incredibly traumatic for the entire family. This is why it is vital to seek compensation. Some of the nursing home compensation claims that can be launched included those for mistreatment, slips, trips and falls, as well as cases where a lack of basic care has been provided. Childbirth negligence claims can be incredibly traumatic and upsetting. They can have an impact on the rest of your life, as well as your baby’s life. These claims relate to any types of illnesses or injuries that were sustained during childbirth – injuries and illnesses that could have been avoided if the midwife or other healthcare professional acted correctly. You can claim for injuries that have been sustained to your baby, as well as any injuries you have sustained too. It is also worth noting that you cannot only claim for physical injuries, but for psychological injuries as well. You can use the table below to take a look at the claims received, payout amounts, and number of incidents regarding clinical negligence in Chesterfield, with comparative data from another trust. It is vital to note that these figures are only applicable to NHS trusts, therefore, it relates to NHS accident compensation claims only. However, if you have been injured or sustained an illness in a private hospital, our medical negligence team can assist. No matter what type of claim you are launching, one of the most important things to do is look for a solicitor who works on a No Win No Fee basis. What does this mean? This means that you will only pay legal fees if compensation has secured. The legal fees will be a percentage of your compensation, and this is something you and your solicitor will have agreed before the service begins. The great thing about the No Win No Fee clinical negligence approach is that it allows anyone to claim. You don’t need to have any money to do so, as there is no upfront payment and there is no chance you are going to be out of pocket. This also gives you the peace of mind that your solicitor is working hard for you, and that they will only agree to work on your compensation case if it has a realistic chance of resulting in payout success. If you are ready to speak to a Chesterfield solicitor to start your claim, or you have any questions regarding medical negligence cases, please do not hesitate to get in touch with Legal Expert. Not only can we provide you with the best solicitor Chesterfield has to offer based on the ins and outs of your case, but we also provide free advice and we will be more than happy to answer any queries you have. There are several ways to get in touch, including live chat, the online contact form on our website, sending an email to info@legalexpert.co.uk, and calling us directly on 0800 073 8804. We look forward to hearing from you. Hopefully, you have found this guide helpful. However, if you are still on the lookout for more information about medical and clinical negligence claims, you may find our comprehensive guide more insightful.